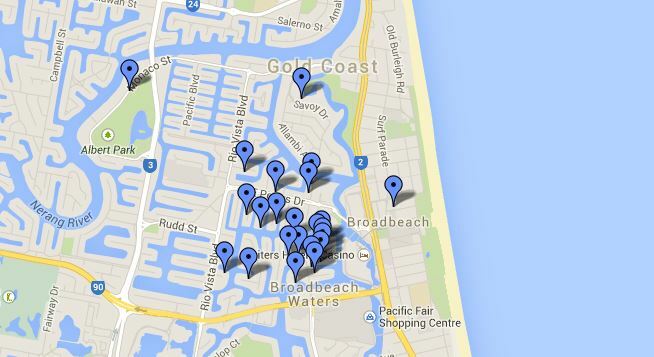 Want to know exactly where our Gold Coast holiday homes are located? Check out our Google map for the full list. Most of our properties are located in Broadbeach Waters. We also have properties in Surfers Paradise and Nobby’s Beach – more beautiful places to stay.